Witches are the kind of more traditional, home and family, craft people – so they’re the ones who are making things; crocheting shawls and things like that. But then they also have that slightly confident, dangerous, edge. I always see them as having very extreme hair, either amazingly beautiful straight hair or kind of wild. Once upon a time, about 10 years ago, I thought maybe I could write a mystery series about a midwife in Elizabethan England. I had an elaborately convoluted title and an elaborately convoluted plotline, and at that point I got stupendously bored. My niece was very much caught up in the vampire craze for young adults, and she thought having a vampire boyfriend would be a cool thing. What do you do on a first date? The more I thought about it, the more fun I had imagining what you’d serve a vampire for dinner. I’m a professional non-fiction reader, that’s what I do. But in my 20s we had our own vampire and witch moment, courtesy of Anne Rice, whose books I read and loved. I’d studied 16th century science and magic. I thought it was strange that people were interested in the same kinds of things my research was about. The more I thought about it, the more intriguing it became and pretty soon I was writing a novel about a reluctant witch and a 1500-year-old vampire. I teach 18- to 21-year-olds – the ‘Harry Potter’ generation. They grew up as voracious readers, reading books in this exploding genre. But at some point, I would love for them to give Umberto Eco or A.S. Byatt a try. I hope ‘A Discovery of Witches’ will serve as a kind of stepping-stone. I really love helping students and helping them empathize with people who lived a really long time ago. That’s one of the highlights of working in fiction. I couldn’t resist hiding some historical details and a few clues relevant to the plot and characters of ‘A Discovery of Witches’ throughout the pages of the novel. I realised that today we are very much interested in reading about subjects that would have also interested people in the 1500s: ghosts, demons and things that go bump in the night. As a historian, I love every little detail, but whole long passages about wood paneling and journeys on horseback and every stop at every inn had to go out the window. I decided the history in the books should be like spice in a soup – a little went a long way. Like cilantro. The world of scholarship is much more measured in its appreciation and also its criticism than the world of popular literature. The plain truth is that the period I study is the 16th century, and they were absolutely obsessed with witches and spiritual beings. I’m a storyteller, and I have really good material to work with: I’ve been studying magic and the occult since about 1983. Films are wonderful but they do fix an identity. I can’t read ‘Pride and Prejudice’ anymore, for instance, without imaging Colin Firth as Mr. Darcy. A lot of our assumptions of the world are fairly cynical, fairly negative, and assume the worst. What our reading tastes show – in this rush to fantasy, romance, whatever – is that we actually still want to believe in a world of possibility, in a world of mystery. 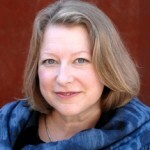 Deborah Harkness was born in Philadelphia, Pennsylvania. She is an American novelist and professor, best known as a historian and the author of the "All Souls" Trilogy which begins with The New York Times best selling novel A Discovery of Witches and includes its sequels Shadow of Night and The Book of Life. She is a well-regarded historian of science and medicine. She is a professor of history and teaches European history and the history of science at the University of Southern California.